We're in July, the sun has been shining (on and off) and it's finally appropriate to wear the brightest colours possible... in both clothing and on our faces! I love love love buying lip products, I literally have an addiction (it's been an issue for a while now...) and I love nothing more than a gorgeous fun bright shade! 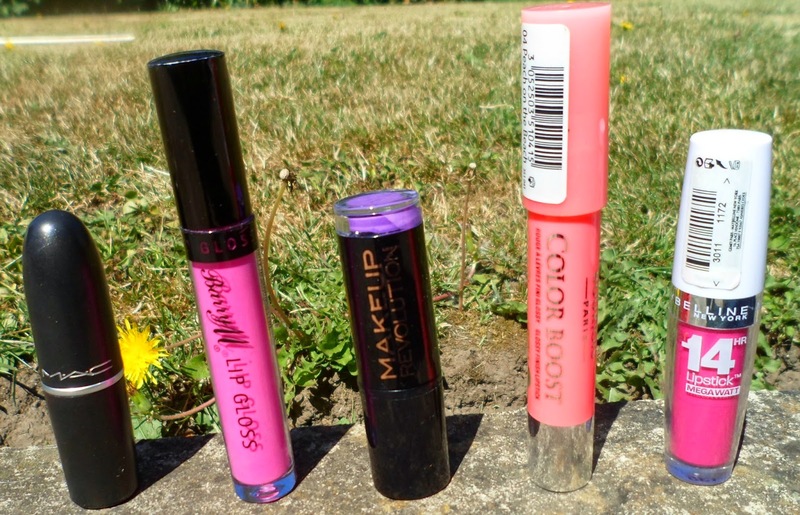 So I thought I would share with you, my lovely readers, my current go-to lip products! I managed to narrow it down to just 10 so I thought I'd do it in two posts, sharing 5 in each, so here is part 1! 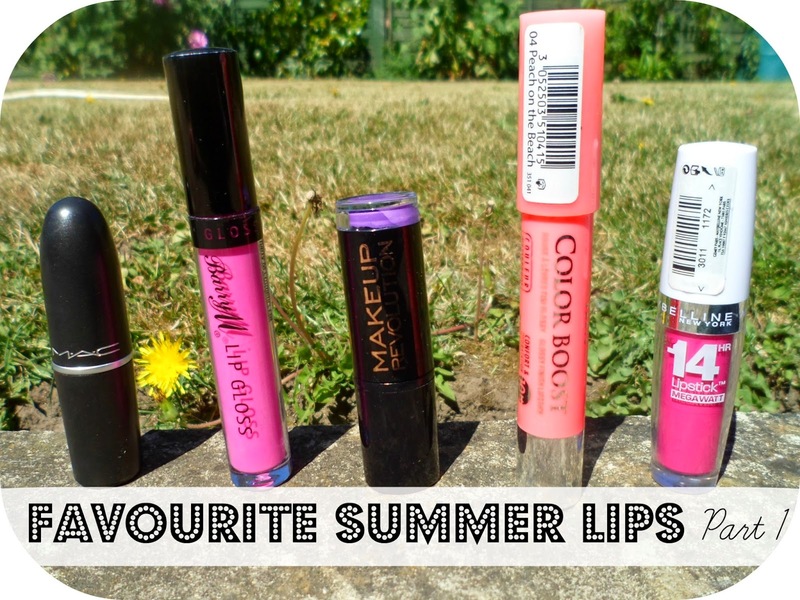 I have a mix of lipsticks, lipglosses and lip crayons - all great fun summer shades which are always top of my pile this time of year! I love love love these shades and the prices range from £15 (MAC) to just £1 (MUR) so there is something for everyone! Do you own any of them? Keep your eyes peeled for Part 2 when I will be sharing the other 5 lip shades/products that have made their way to the top of my favourites for summer! 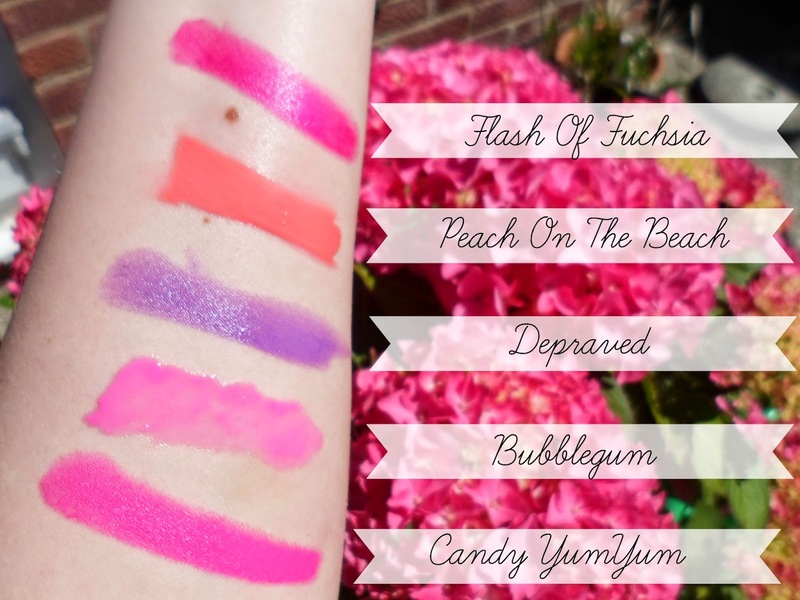 Think I'll be picking up Candy Yum Yum as my next Back to MAC! It's gorgeous!! I bought Peach on the Beach last week and I'm already in love! It's such a gorgeous shade! I have Candy Yum Yum but haven't worn it yet, I need to whack it out soon! I love Candy Yum Yum, such a pretty colour! 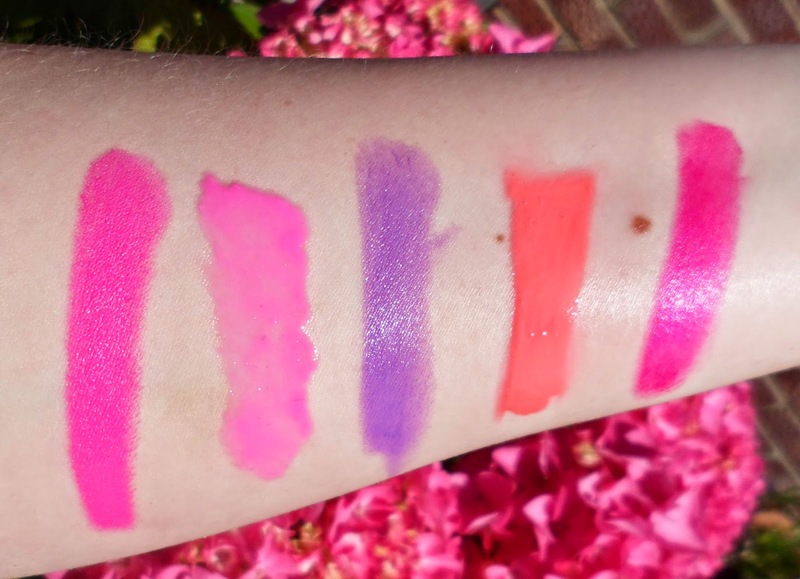 I love both the fushia shades, especially Candy Yum Yum! 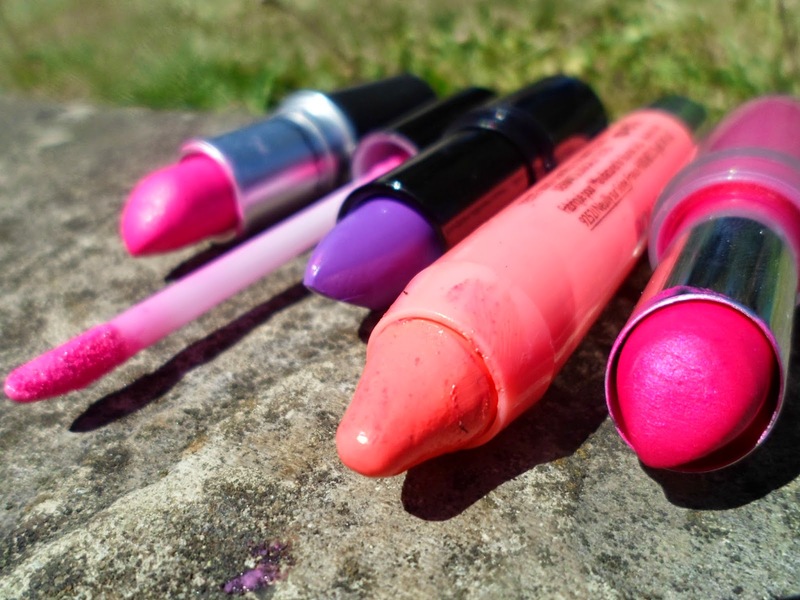 Bright lip colours are my go-to's for the summer time! I wish Makeup Revolution were available in Australia, because Depraved looks crazy pretty! I'll definitely have to try and track that colour down. Looks like a slightly more wearable purple for me as pinky purples are SO much easier to pull off!